I’ve been looking at the analytics for document series pages, particularly the distribution of pages, how users were getting to them and where they were going next. This is because, as we wrote recently, the product team are working on making document series more flexible and allowing editors to curate documents under meaningful headings. 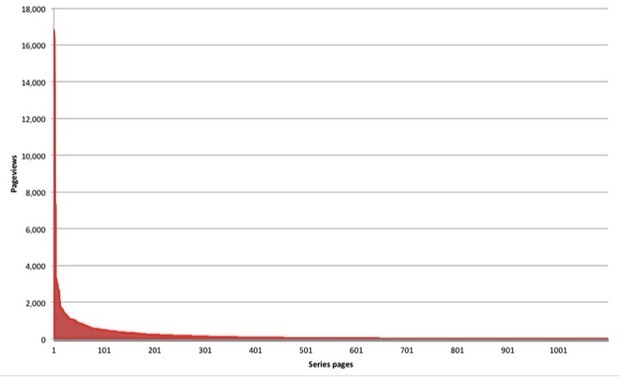 Comparing pageviews across document series pages shows that a few pages garner relatively high numbers of pageviews, with the trend steeply tailing off. The data shows that the top seven document series pages make up 25% of the pageviews, with 750 pages making up the bottom 10%. 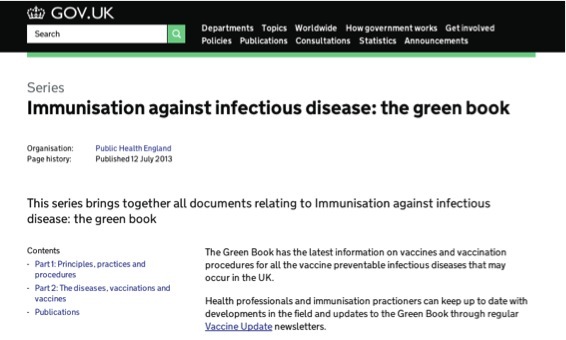 The most popular page over the two weeks was “Immunisation against infectious disease: the green book” which had almost 17k pageviews. The chart below shows a summary of how users got to document series pages, and where they went to next. 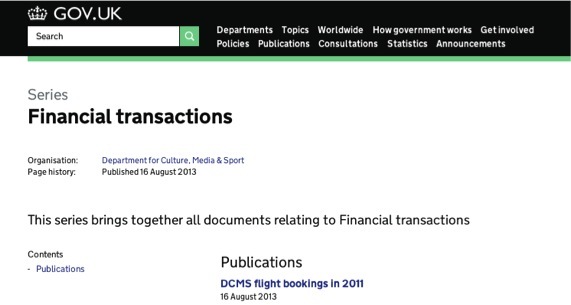 It suggests that document series are a useful format - as the common path is for users to land directly on a document series page from outside the site, and then make their way to a publications page. We’ll be using this data to benchmark the changes that will be made to document series. We’ll also use extra tagging to enable more detailed analysis. In the meantime, just ask us if you have any questions about the analytics so far.